Smarter email is an Internet standard for sending emails, and is often cited by email programs during configuration as the ‘outgoing mail server’. When you set-up an email account, be it on a desktop, laptop, running Microsoft Outlook or Mozilla Thunderbird, you’ll need to select your ‘outgoing mail server (SMTP)’. Mostly, you’ve the option to use your Internet Service Provider (ISP) for outgoing mail. As you configure your account settings, you are asked to choose between IMAP or POP account type for incoming mail. Another step is to select your outgoing mail server. 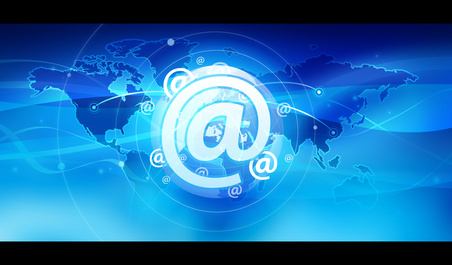 SmarterMail’s Mail Service fully supports any email client that supports SMTP, POP3 or IMAP. Let us take a look at the modern email protocols you will run into using email clients or mobile phones. POP3 is the contemporary version of this particular style of email protocol. It rests as one of the most popular protocol. While POP3 bases on an older model of offline email, there is no reason to brand it obsolete technology, as it has its applications. POP4 is on the cards, and may be developed one day, even though there has not been much progress in several years. Contrasted with POP3, IMAP has a comparative advantage as it allows users to log into several email clients plus webmail interfaces and view the same emails. This is possible since the emails are stored on remote email servers until the user deletes them. IMAP has become very popular in a world where we now check our email on email clients, web interfaces, and on smartphones. It isn’t without its problems, though. For instance, you’ll have a reduced mailbox size depending on the frames provided by the email service. Thoroughly comparing IMAP and POP to MAPI is pretty much technical, and perhaps out of scope for numerous readers of this article. Nonetheless, MAPI is a means for applications and email clients to communicate with Microsoft Exchange servers. IMAP enables users to sync emails, calendars, contacts, and other features, all tied to local email clients, or applications. It does, however, have its fair share of shortcoming as well. Exchange and MAPI are Microsoft products, and this means that only corporations that possess their own Exchange mail servers or operate Windows Live Hotmail have access to Exchange. SmarterMail is the engendering mailing solution that is an alternative to Microsoft Exchange. It presents an ecosystem of high efficiency as well as reduced maintenance costs. i2k2 Networks, with years of experience in the mailing solutions market, offers cutting-edge SmarterMail solutions that are profoundly customizable and scalable to suit your enterprise tastes. Call us today for a no obligation free discussion, or sign up with us.